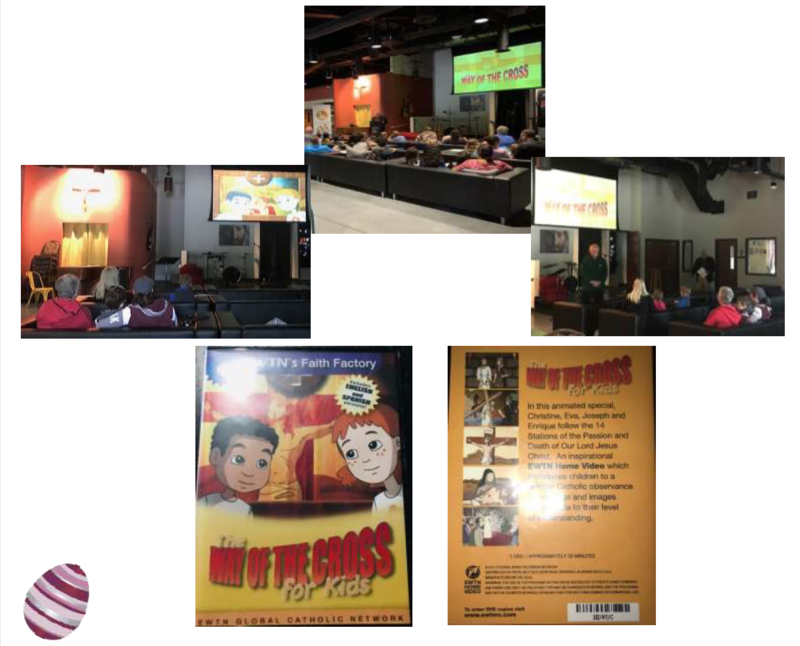 CGA, Prince of Peace, Houston, Texas Though our Parish has Stations every Friday and live Stations which many families attend, our Ministry elected to sponsor Stations for Children this year, using a DVD produced by EWTN. After the first session, our parish priest asked our Ministry to hold a second session. 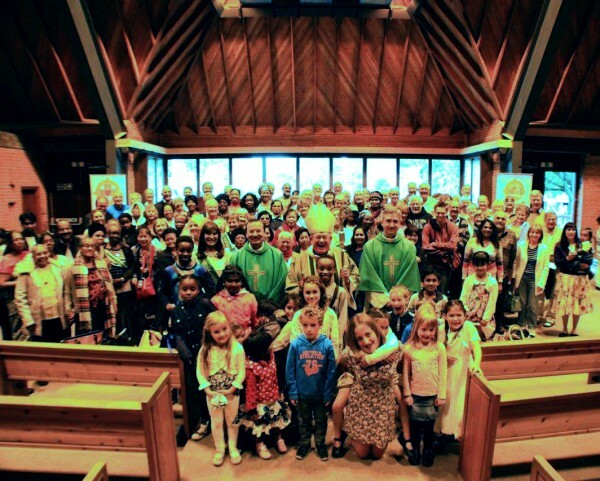 In total, more than 50 children and adults were served with the added bonus of a Scout Leader borrowing the video for a Scout Retreat at another parish. Each station also teaches a life lesson about kindness, sharing etc. 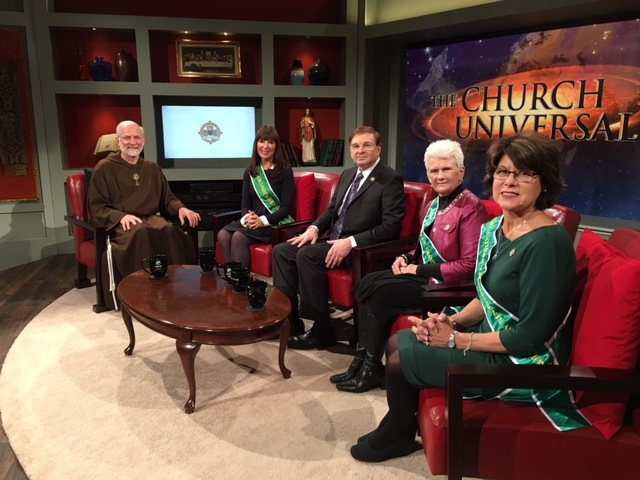 August 26th 2017 – In collaboration with the Archdiocese of Philadelphia, the First U.S. C.G.A. conference was held at St. Charles Borromeo Seminary. More than 150 Grandparents were in attendance. Catherine Wiley C.G.A. 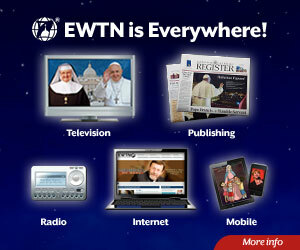 Founder and Jim and Joy Pinto from EWTN were the Keynote speakers. 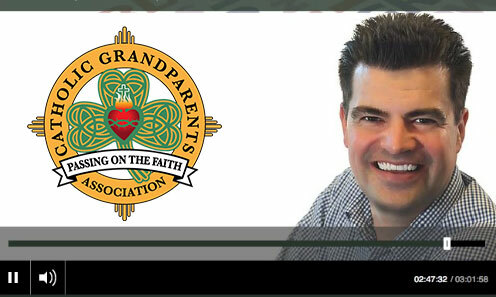 June 2017 – Deacon Ron Wylie appointed as Official Representative for the Catholic Grandparent’s Association in Scotland. 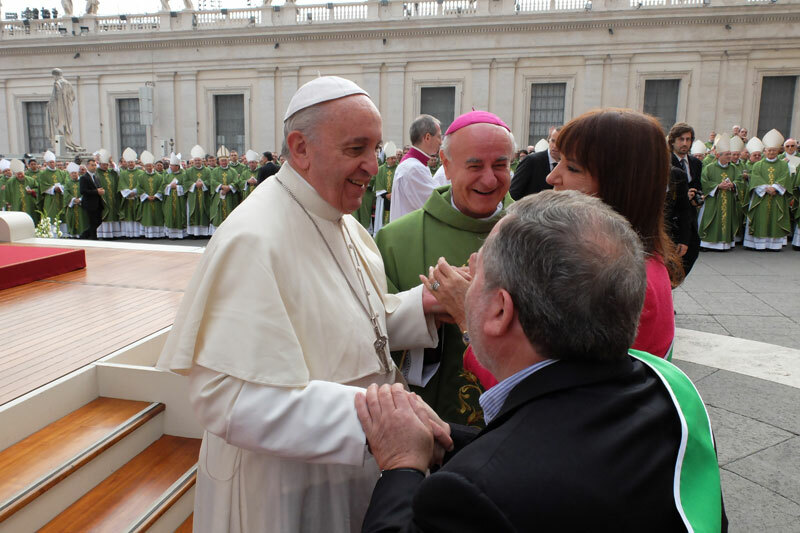 Deacon Ron will be The CGA’s ‘Chaplain/Coordinator’ for Scotland and liaise between the diocese, parishes and the Catholic Grandparents Association. 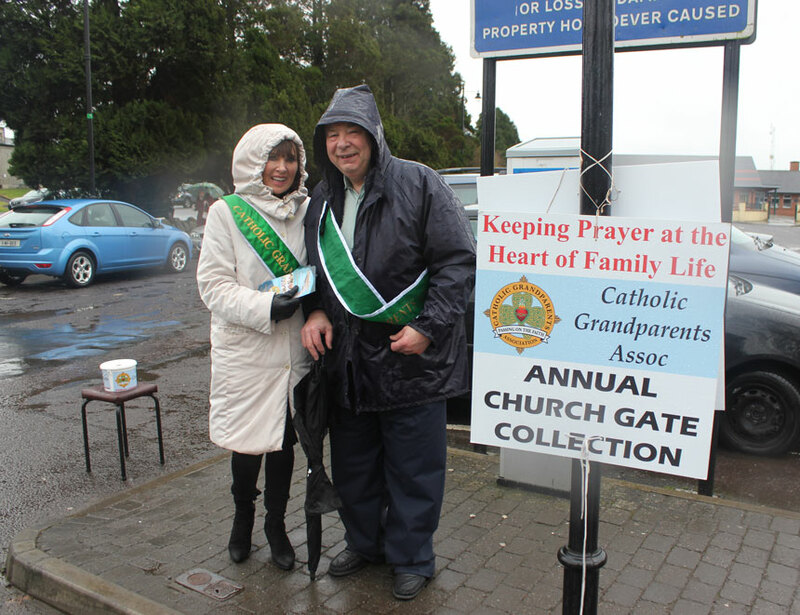 May 2017 – Catherine Wiley, CGA Founder, along with Father Enda Brady, Chaplain and coordinator for the CGA in Ireland, completed two interviews in Ballinasloe, Co Galway with EWTN’s Father Joseph Mary. By: Lindsey Kettner, Relevant Radio® 7/18/17 Grandparents hold a very special role in the spiritual formation of their families and can have a great influence on their children and grandchildren’s faith journeys. They have the responsibility to pass along the Faith, pray with and for their grandchildren, and be a role model of Christian life. 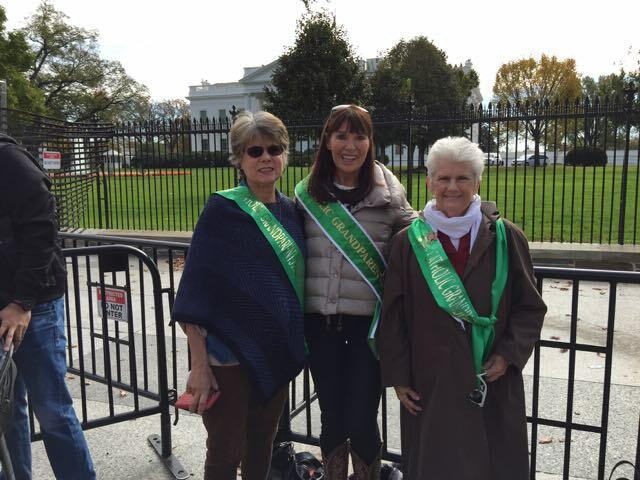 Read more..
Catholic grandparents Association delegation at the gates of the White House on Veterans Day, the final day of their first historic road tour of the North East of America. We thank God for our Dearest Holy Mother and her Parents St Joachim and St Anne, Grandparents of Jesus. Happy Birthday dearest Holy Mother this day also marks the birth of the Catholic Grandparents Association. AGM of the CGA. 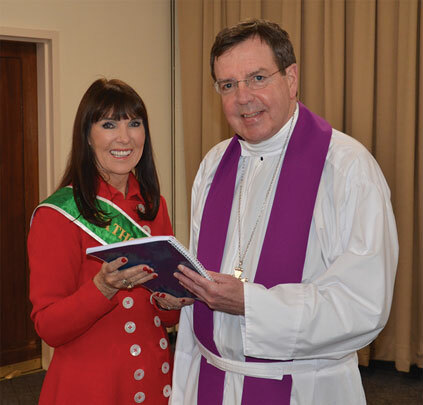 Meeting in Knock on Wednesday 25th November with patron Archbishop Michael Neary, and Core Diocesan Leaders with the Founder, Catherine Wiley. Portsmouth are establishing a new Branch, and there is a meeting in St John’s Parish, Christchurch 17th Nov. All welcome. 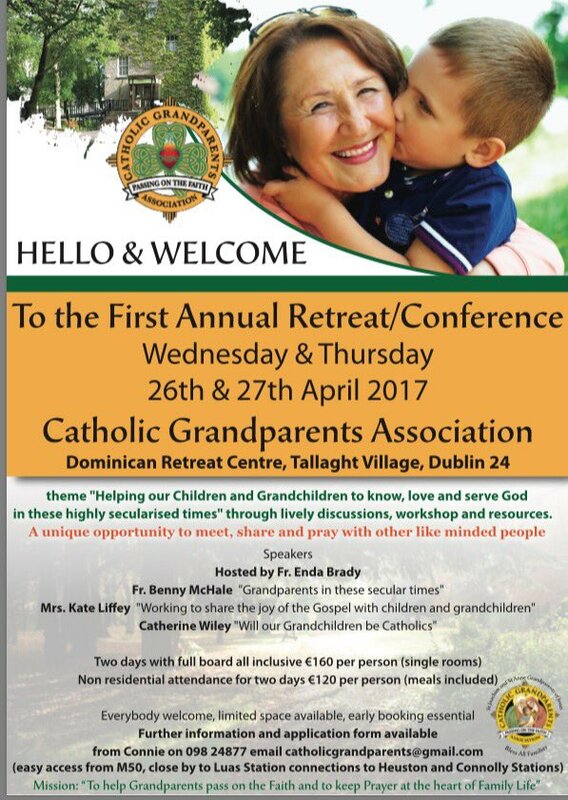 For more information please email caroline@catholicgrandparentsassociation.org. 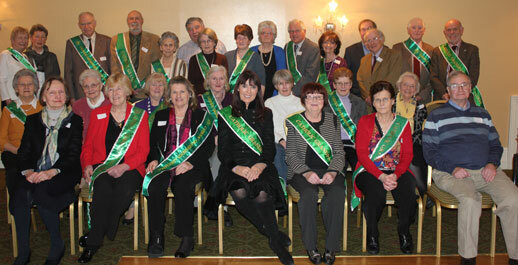 Regional Heads of the CGA are meeting in Delray on Wednesday 11th Nov to finalise the structure and systems in America. 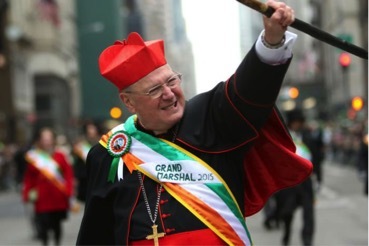 Cardinal Timothy Dolan of New York has led 180 pilgrims from the US city to Ireland’s Knock Shrine. 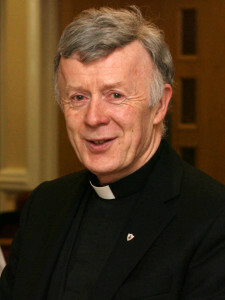 The Rector, Mgr John Armitage, welcomed the 12th annual Grandparents Pilgrimage and parents and countless grandchildren. Don’t Miss the St. Anne Novena! Click here to listen to Radio Interview Walsingham is England’s National Shrine of Our Lady. 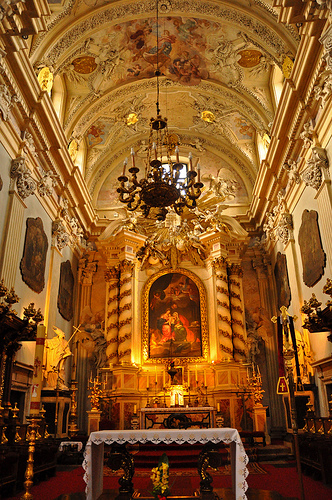 Founded in 1061 AD it is one of the oldest Marian shrines in the world. Big things are happening at Walsingahm, this according to new shrine rector Mgr. John Armitage. 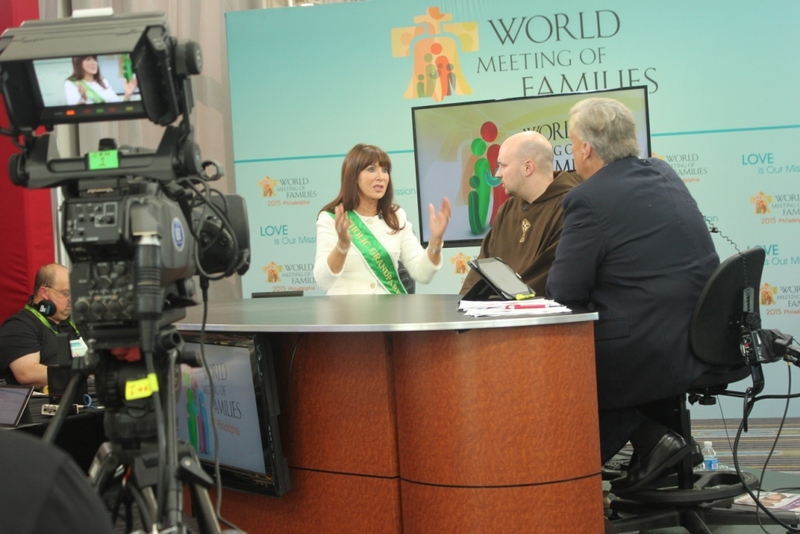 Catherine Wiley, founder of the Catholic Grandparents Association, talked to Mrg. Armitage for Celtic Connections about his vision for the shrine and about the “big things” planned at Walsingham. 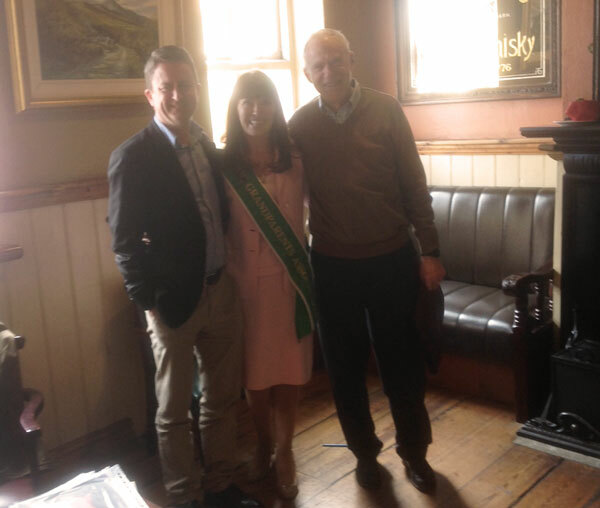 Pictured Left to Right: David Quin Catherine, Eanna Johnson. Congrats Archbishop Michael 20th Anniversary! 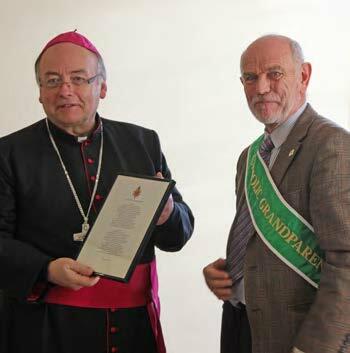 Congratulations our beloved Archbishop and Patron on your 20th Anniversary. We are blessed to have you, we pray for your intentions your good health and that the future brings you much joy, fortitude and happiness. 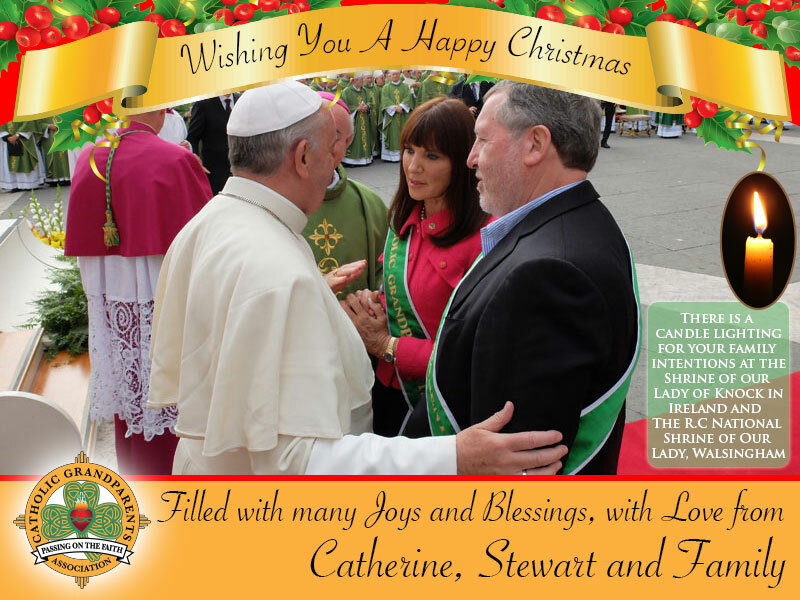 With love and prayers from Catherine and all of us at the Catholic Grandparents Association.. There is a candle lighting for your intentions at the Shrine of our Lady of Knock an the Shrine of our Lady in Walsingham. Vatican City, 30 January 2015 (VIS) – The Holy Father’s universal prayer intention for February is: “That prisoners, especially the young, may be able to rebuild lives of dignity”. His intention for evangelisation is: “That married people who are separated may find welcome and support in the Christian community”.